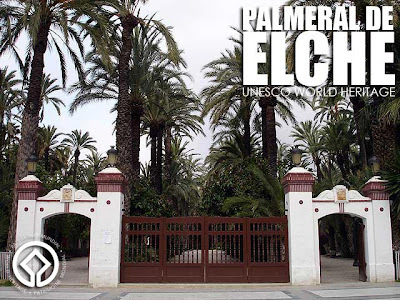 Elche (Elx in Valencian) is host to two cultural treasures, the Palmeral de Elche (Elx Palm Groves) which is in the UNESCO World Heritage List, and the Misteri d'Elx which was declared one of the Masterpieces of the Oral and Intangible Heritage of Humanity. And the good thing was it was just two hours and 30 minutes from Valencia. So I decided to make a day trip to Elche and Alicante. The RENFE (train) ticket to Elx-Parc cost me 13,45€. I got on the 7:04 a.m. trip arriving at 9:32 a.m. Had I gotten an earlier trip, it would have posed a problem since the first trips on the Metro usually start at 6 a.m. And I would have been forced to take an expensive cab! Trains leave on the dot so don't even try to arrive a minute later. As soon as I arrived, I immediately looked for the tourism office to get a map. 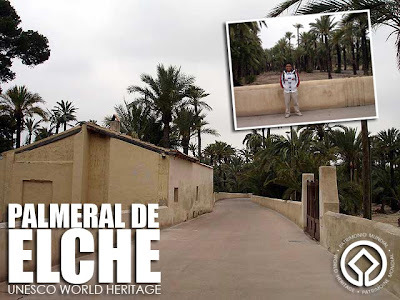 Elche's old quarter is an easy walk and the map conveniently suggests two routes around the city center and the palm groves. 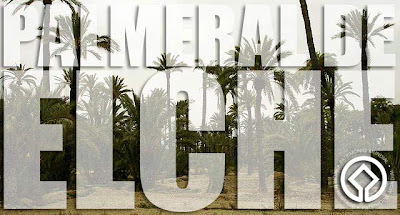 Indeed, Elche is an urban forest of palm trees which creates a very unique cultural landscape. 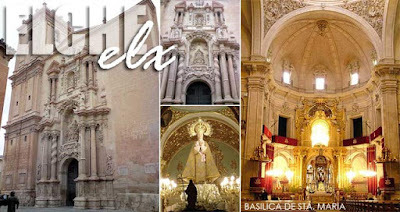 It has some interesting buildings as well including the Alcasser de La Senyoria, Basilica de Sta. Maria, Mercat Central and Ajuntament among many others. But the main attraction of the city is the different palm groves, parks and gardens. Check out the Huerto del Cura and its Palmera Imperial (Imperial Palm Tree), a 170-year old palm tree with eight arms attached to the main trunk. The garden also sells dates and date sweets in its souvenir shop. You should take the route around the palm groves which is a little over 2 kilometers if you want to explore this cultural treasure some more. Shortly before lunch (that's 2 p.m. in Spain), I proceeded to the bus station to catch a bus to Alicante, which is just 30 minutes away. I spent 1,80€ for that. I loved all your pictures about The Philippines and other places in the world. I hope you don't mind me asking what software are you using for the Photo mosaic effects. Thanks and more power to you. thank you for this wonderful photos. 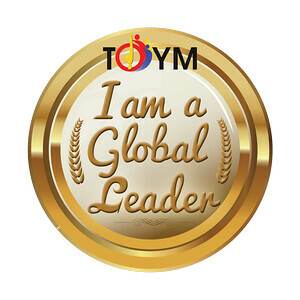 Thank you for the blogs also. You muct be rich, you're giving 6 tickets for palawan? Oh, I love El Nido! We are currently based in Saudi Arabia as expats. @kd, I use Photoshop for my blog. @kenji, it's the SEAIR Adventure Club giving them away, not just me.